The Coaster is a long weekender for four people, the cabin gives two full length berths, cooking and toilet facilities, plus plenty of usable storage space. With a spray hood and boat tent, another two berths can be provided. A 6-8 hp outboard motor is recommended to supplement the 15.22 sq mtrs (164 sq ft) of sail. The centre plate is set in an integral trunk and is operated by a rotary winch from the cockpit. The outboard sits in a well and can be lifted clear of the water when not in use. As with the Longboat, the Coaster can be trailed or left on a mooring as you wish. For a full specification plan please click HERE. For pricing and options click HERE or click on the picture in the bottom of the left hand column. 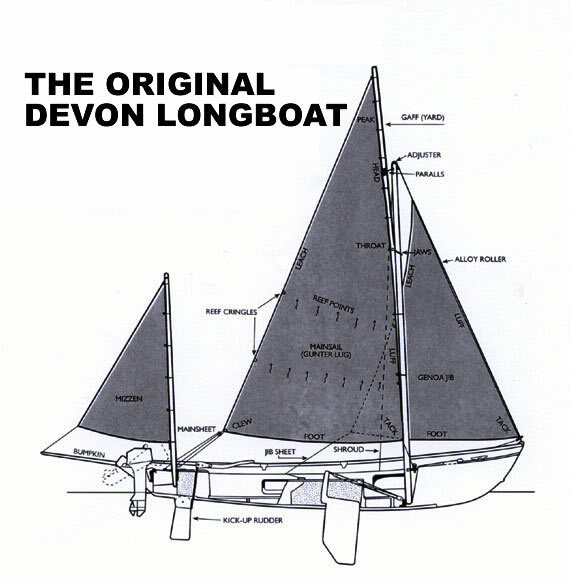 This boat was originally called the Drascombe Coaster and then re named to Original Devon Coaster.